We love seeing families in church each and every week. It’s fabulous when parents and children can be part of our services. Jesus said “Let the children come to me” (Matthew 19:14) and as a church we want younger folks to be integral in everything we do. If you come to Community Baptist with children and you want them to stay with you during the entire service then that is absolutely fine. The children are part of the main service during which there will be some announcements, a period of prayer and a time of praise. We also have some songs for children during this part of the service where the words are projected onto a large screen. We do however have a small Sunday school where younger children can go during the preaching element of the service. Our Sunday school teachers take the younger children out to their classroom where they are taught Bible stories and have a time for games and fun. Our Sunday school is in operation each Sunday morning service at 10.45am. At our Sunday evening service and Wednesday house group we do not have specific provision for children. 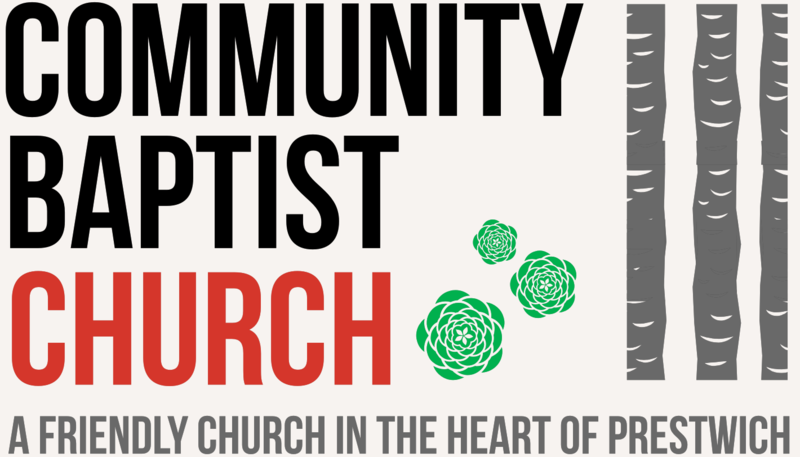 We just ask that any children attending the services at Community Baptist Church are accompanied by a parent or guardian. *All our Sunday school teachers and youth support workers have had full child protection training and have been DBS checked.